Do photographs from the past have the power to shape our present? Can such images reconcile our identities and collective histories? Black is Beautiful: Empowerment Through the Lens of Kwame Brathwaite 1962-1975, this year’s opening exhibition at Windward’s Held and Bordy Family Gallery, made the case that not only can photographs from the past attend to what we have lost, they can also bring attention to key moments in our cultural evolution. Black is Beautiful: Empowerment Through the Lens of Kwame Brathwaite 1962-1975 showcased nine works that presented the burgeoning afro-centric aesthetic formulated in the late 1950s, namely the movement away from mainstream American fashion toward forms and styles that openly recognized and celebrated a pan-African identity. 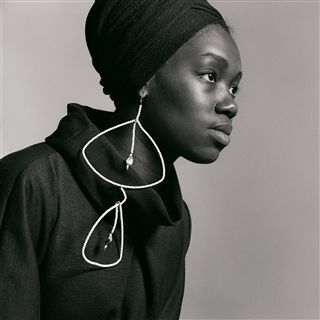 Inspired in part by the writings of Marcus Garvey, the photographer Kwame Brathwaite (b. 1938), his older brother, Elombe Brath, and the African Jazz Arts Society and Studios (AJASS) popularized the phrase “Black Is Beautiful” in part through images of the Grandassa Models, a group of young women who defied mainstream “white” standards of beauty. AJASS’s first fashion show, “Naturally '62: The Original African Coiffure and Fashion Extravaganza Designed to Restore Our Racial Pride and Standards,” was headlined by vocalist Abbey Lincoln and jazz drummer Max Roach. Tanisha Ford notes in her book, “Liberated Threads: Black Women, Style and the Global Politics of Soul,” that, “By wearing African-inspired garments,” the Grandassa Models “were communicating their support of a liberated Africa and symbolically expressing their hope for black freedom and social, political, and cultural independence in the Americas.” Works in the exhibition emphasize brightly colored fabrics, elaborate jewelry, and “natural” hairstyles. These images heralded new standards of beauty, and promoted a “do it yourself” call to activist art. Following the opening reception, a panel conversation was held for the public featuring: Kwame S. Brathwaite, the artist’s son and archive director; Rebecca Peabody, Head of Research Projects & Programs at the Getty Research Institute; and Camar Robinson, Windward’s Director of Diversity and Inclusivity. 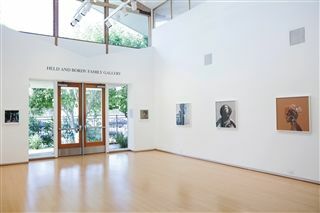 Topics focused on a number of issues surrounding Brathwaite’s work, such as cultural legacy, conservation, activism, and the current state of photography. In many ways, Windward’s community was fortunate to see these images at all, since Brathwaite’s immense contribution is only just beginning to be acknowledged. A forthcoming inclusion in the exhibition Mod New York: Fashion Takes a Trip at the Museum of the City of New York and a current spread in Aperture magazine attest to the ascension of the artist in the canon of American photography. 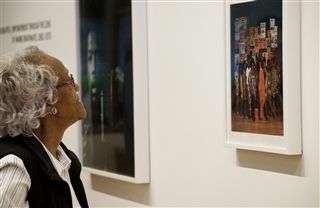 Perhaps the deepest truth about Brathwaite’s work came from Camar Robinson, Windward’s Associate Director of Diversity and Inclusivity: "The Black is Beautiful exhibit reminds us of how present the past is in our lives, and the need for art to raise the unconscionable to consciousness in order that we may reclaim our humanity."